A Standard Welding Procedure Specification (SWPS) is a welding procedure that must meet the rules for qualification of AWS B2.1 – Specification for Welding Procedure and Performance Qualification, and be approved by the AWS B2 Committee on Procedure and Performance Qualification. All SWPSs have supporting Procedure Qualification Records (PQRs) which comply with the rules set forth by AWS B2.1 and which also aim at complying with all of the major codes such D1.1, D1.2, D1.3, D1.6 Structural Welding Codes and ASME Boiler and Pressure Vessel Code. 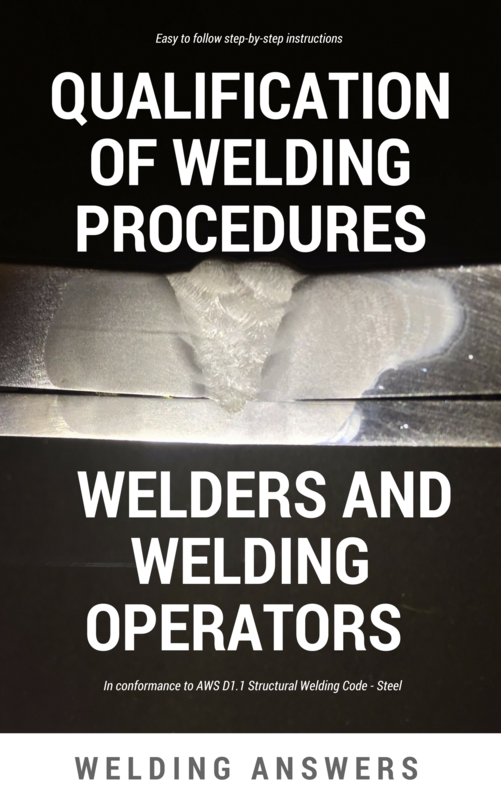 SWPSs should not be confused with prequalified welding procedures as we explain on our previous post on How to Develop Welding Procedure Specifications. 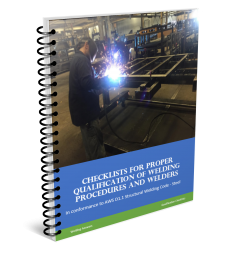 Prequalified welding procedures are exempt from testing and thus do not have supporting PQRs. 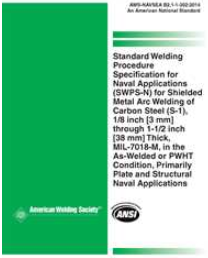 SWPSs are available for purchase from the American Welding Society. Each SWPS can be purchased at a price of $272 for non AWS members or for $204 for AWS members. That’s a significant amount of money for a welding procedure, especially if you are not sure exactly what you’ll get for you money. AWS publishes a “preview” for their SWPSs but this only consists of the first 8 pages of the document. These pages contain the cover page with a brief description. The rest of the pages on the preview are only committee members, an abstract and the list of supporting PQRs (numbers only). So what do you actually get with the SWPS? One thing you do not get is a filled out WPS form. Rather, you get a long list of parameter ranges from which to choose. 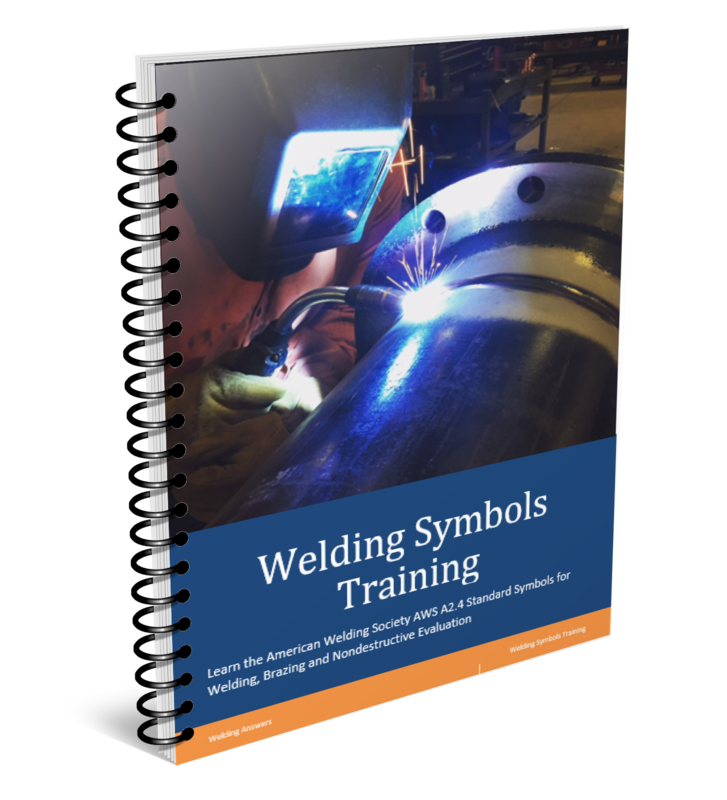 This is good because it provides flexibility – meaning you can use different diameter electrodes, can weld in different joint configurations and different welding positions. SWPS will also provide instructions for items such as preheating, post weld heat treatment, interpass cleaning and when or if post weld heat treatment can be omitted. Below you can see how a SWPS is presented when you purchase it. The information below will be presented over several pages on the document. List relevant information such as a procedure not being qualified for notch toughness applications. Base Metal: Identifies the base material group number and any other designations such as M or P numbers. Deposit Thickness Range: Details the range of thicknesses for weld deposit (for all passes) or range of fillet weld sizes. Consumable Insert: Whether permitted or not and type of insert is used. Preheat Temperature: Minimum and maximum temperature to which the part must be heated prior to welding. Interpass Temperature: Minimum and maximum temperature at which the part must between welding passes. Here is where the SWPS will provide the amperage and voltage for your procedures. It provides ranges for different diameter wires, for root and fill passes and for different positions. It will also distinguish between groove and fillet weld procedures. Although the SWPS are managed by AWS and supported by PQR the person or company using the SWPS takes full responsibility for the application of the SWPS. There is no need to take the information for the SWPS and put it into a WPS form. However, it may be advisable as the WPS is a single sheet while SWPS contain multiple pages which may be cumbersome for welder to keep and use in their stations. So now you know what you get with SWPS. AS you can see a single SWPS can cover a wide range of thicknesses, positions and electrode diameters.